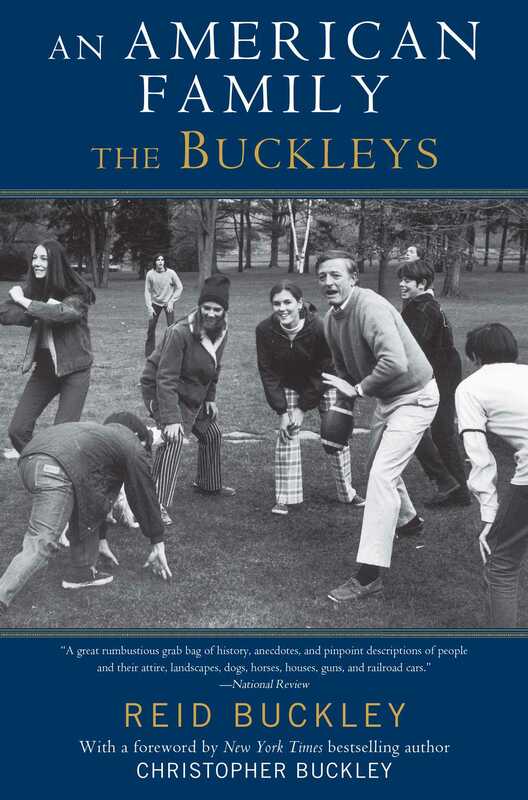 Now in paperback, the extraordinary and sweeping memoir of one of the most revered families in America—the Buckleys. The Buckley name is synonymous with a unique brand of conservatism—marked by merciless reasoning, wit, good humor, and strong will. Self-made oil tycoon William F. Buckley, Sr., of Texas, and his Southern belle wife, Alöise Steiner Buckley, of New Orleans, raised a family of ten whose ideals would go on to shape the traditionalist revival in American culture. But their family history is anything but conventional. Begun in Mexico, and set against a diverse international background, theirs was a life built on self-reliance, hard work, belief in God, and respect for all. It is no wonder the family produced nationally recognizable figures such as columnist and commentator William, Jr., New York Times bestselling satirist Christopher, and New York senator James. With charm and candor, youngest son Reid, himself the founder of the Buckley School of Public Speaking in South Carolina, tells the enormously engaging and entertaining—and sometimes outrageous—story of a family that became the mainstay of right-wing beliefs in our politics and culture. An American Family is an epic memoir that is sure to appeal to conservatives, liberals, and moderates alike. Reid Buckley, founder and head of the Buckley School of Public Speaking, graduated from Yale. During the 1960s and 1970s, he toured the United States, taking on liberal columnist Max Lerner. He is the author of the novels The Eye of the Hurricane, and the fiction trilogy Canticle of the Thrush, Servants and Their Masters, as well as several books on speaking and writing. He has also written for The New York Times, The Atlantic, and The National Review. He lives in South Carolina.